Almost always working with the same musicians as André Ceccarelli, Jean Shultheis, Tony Rubio, Michel Barrot ,to name a few, one day they asked me to start a Big Band Jazz. I immediately jumped on it and wrote in very little time the pieces that appear on this record. After some rehearsals,a few concerts, we decided to record these songs. I made the choice of stand out from traditional Jazz Big Band by composing in a Jazz-Rock style . I also asked the cast of ‘Hair’ to sing on three pieces. 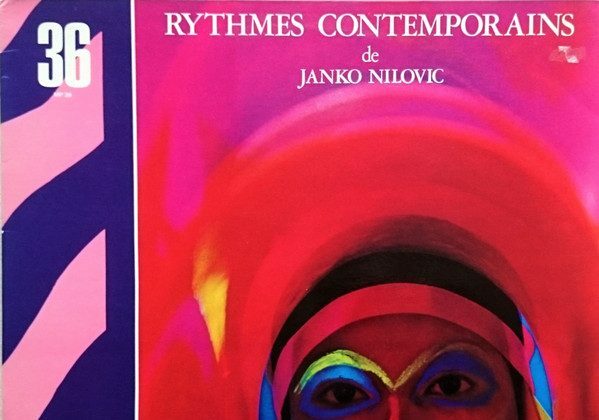 Then, the director of MP 2000 noting that only 100 copies had been sold, decided to release a Library version called ‘Contemporary Rhythms’ I would never know why this choice of the title, with a very special cover:, a nice African, which has nothing to do with the kind of Jazz compositions! Needless to say, this record has had an international success with many American singers (Jay Z /Dr. Dre and others) who sampled some titles from this album.